Part one of a video series in which the members of WE SELL THE DEAD discuss the band’s formation and the making of their debut album, “Heaven Doesn’t Want You And Hell Is Full”, can be seen below. “Heaven Doesn’t Want You And Hell Is Full” will be released on February 23, 2018 via earMUSIC. Revolving around Niclas Engelin (IN FLAMES, ENGEL), DRÖMRIKET‘s Jonas Slättung, Gas Lipstick (former HIM drummer) and the voice of Apollo Papathanasio (SPIRITUAL BEGGARS, FIREWIND), WE SELL THE DEAD goes beyond the strains of conventional storytelling and create a multi-media experience of premium quality heavy metal music embedded in visually stimulating and atmospheric visuals. Heavy-yet-melodic sounds transport the listener into a Victorian inspired world that is defined by pompous manors and daunting luxury standing in deep contrast to the harshness and cruelty of the gutter. It is a world that reeks of hysteria, but, above all, a sense of mysticism and dark romanticism. WE SELL THE DEAD‘s music rises above this, not merely pointing out this injustice, but expanding the narrative into the extreme, playing with themes of ghosts, death or religion. Explains Slättung: “From the late 1800, an era that has inspired our band enormously, comes one of the greatest and darkest crime mysteries of them all: Jack The Ripper. We don’t know 100 percent who he was but we know his horrendous deeds. All the visuals we had in our mind, combined with the sometimes slightly morbid lyrics, made us think that this is what music would have sounded like if heavy metal had existed in the 19th century, or if Jack The Ripper had travelled forward in time to join a metal band. WE SELL THE DEAD would have been his natural choice for a backing band. He probably would have felt right at home with us. “Heaven Doesn’t Want You And Hell Is Full” will be released as a CD, LP and on digital. The official music video for “Echoes Of An Ugly Past” can be seen below. 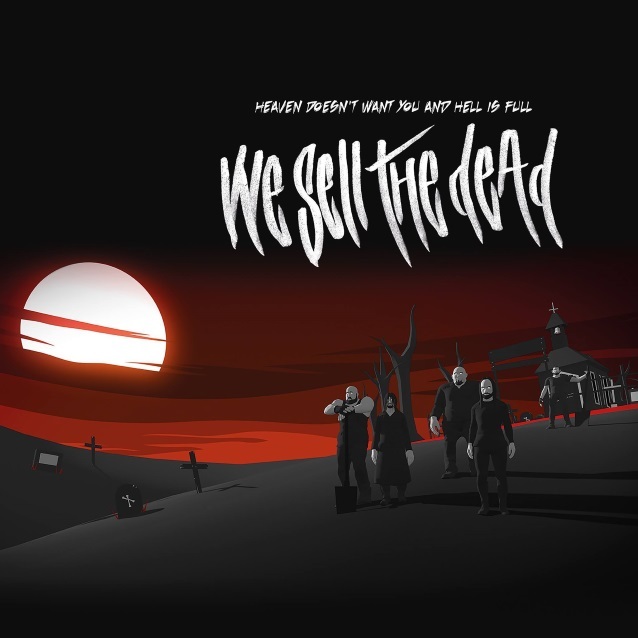 Find out more about the members of We Sell The Dead and how we came to play in a band together! This is part one of a little series. Stay tuned for more! "Heaven Doesn't Want You And Hell Is Full" is out on February 23rd, 2018!